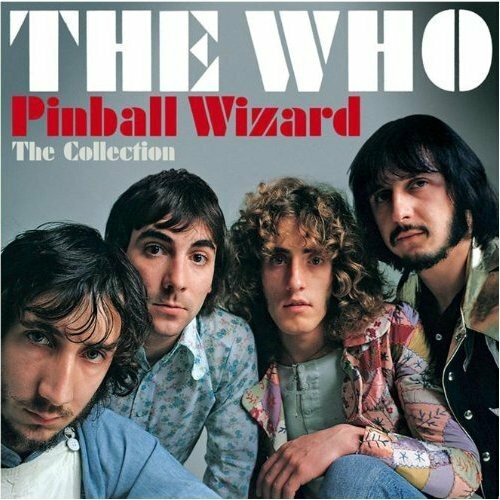 1969 Song of the Day today- is Pinball Wizard by The Who. Pinball Wizard the most known song on the most famous [but not even close to the best album by The Who- Tommy} Don’t get me wrong- I like the Tommy album but I think it gets way too much attention- the best album by The Who is Who’s Next which was their next studio album in 1971 and I like their other less famous rock opera Quadrophenia more than I do Tommy but maybe that’s just me. Pinball Wizard was a successful single- reaching #4 in the UK and #19 on the Billboard Hot 100. It was written by Pete Townshend and sung by Roger Daltrey with Townshend singing on the bridge. I am sure everyone knows what Tommy is about- the rock opera about the ‘deaf, dumb and blind boy” and his life experiences. The single was sped up and is 7 seconds shorter than the album version of the song. 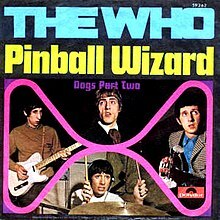 Pete Townshend once said of Pinball Wizard- that ‘it was the most clumsy piece of writing that he’d ever done” but it worked. It is the most recognizable song from Tommy and one of the most famous Who songs also. Elton John would perform the song in the 1975 movie Tommy and the single by John would reach #7 on the UK charts. The Ukulele Orchestra of Great Britain do a good a capella version. Easy to find on youtube. If you like that see what they do to Ride of the Walkries morphing into Silver Machine. Elton’s version is good, too. I’ve always loved the opening of this song! That thought never occurred to me but you are right.